Note: As of September 10, 2018 this workshop has been sold out. Please email us to be placed on the waitlist. Death Valley is a truly unique National Park. It features the lowest, driest, and hottest locations in North America and is surrounded by mountains that rise to over 11,000 feet. Covering about 3,000 square miles, it’s larger than Yellowstone, yet most photography workshops barely scratch the surface of what this park has to offer. This is a unique opportunity to visit and photograph great locations during the best light. 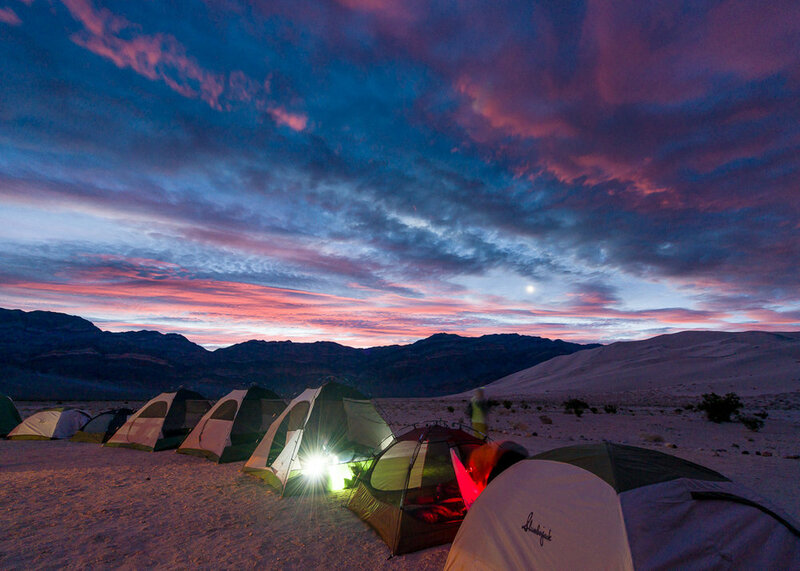 Our outfitters will make sure you are comfortable and well fed as we camp under the stars at Eureka Dunes, the tallest dunes in California, and possibly North America, where the light plays across the dunes, creating stunning landscapes and abstracts. You’ll have a chance to wash off the desert dust at The Ranch at Furnace Creek, where we’ll hold our image critiques and post-processing lessons—but we won’t stop shooting! 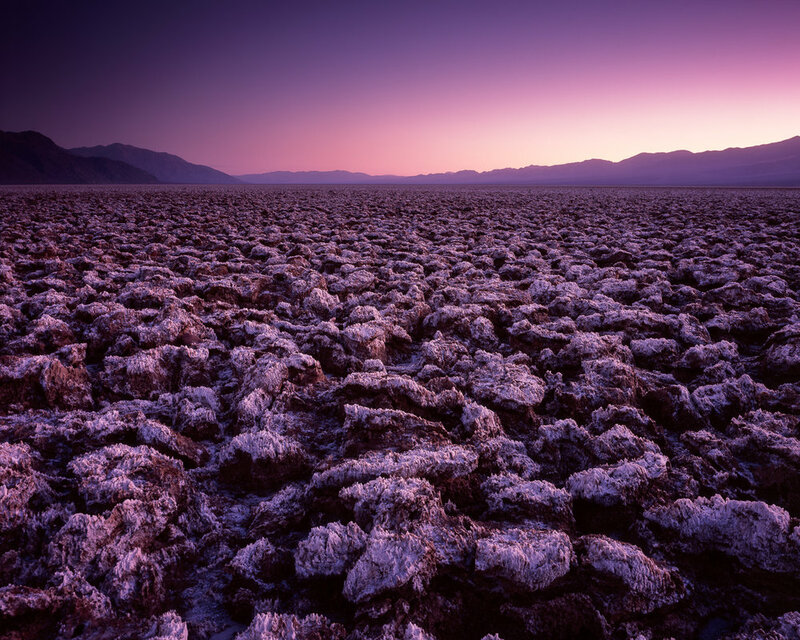 Furnace Creek is the base for some of the most iconic scenery in Death Valley, and we’ll be photographing Zabriskie Point and Golden Canyon, the salt polygons of Badwater Basin, Twenty Mule Team Canyon, and more. * So what does all inclusive mean? From the time we meet on March 18th, until we say goodbye on March 23rd, all meals, lodging, and guided camping are included. You can stow that wallet! March 18, 2019: Fly to Las Vegas this day, arriving before 1:00 PM. Drive to Furnace Creek, check-in to our hotel. 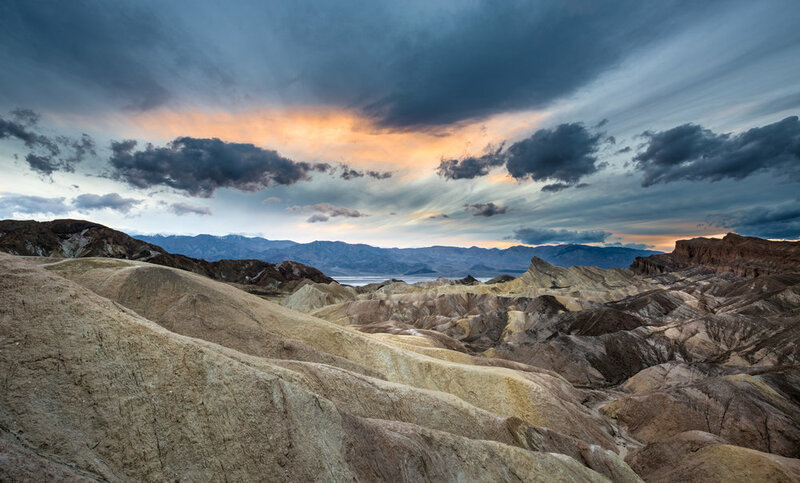 We'll meet at 4:00 PM for to shoot sunset at Zabriskie Point. Dinner at the Inn. 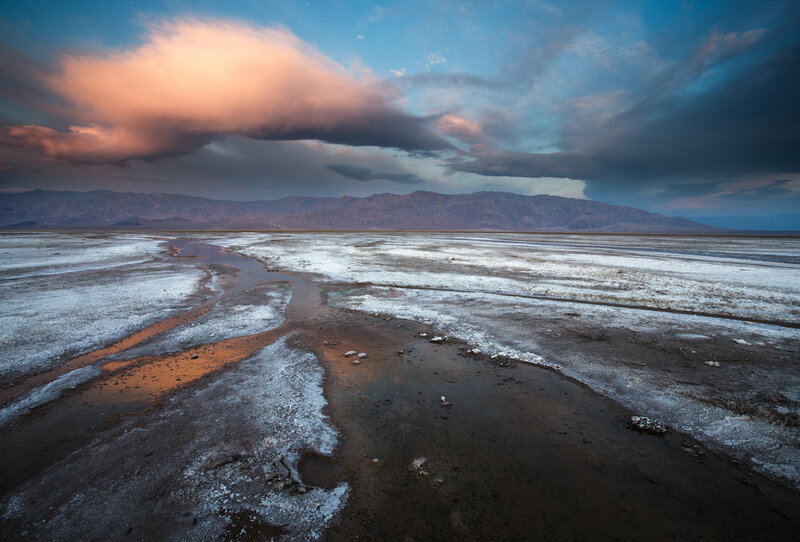 March 19, 2019: Sunrise shoot at Badwater Basin, followed by breakfast and a break with time to collect your images for our critique and Lightroom session, during which lunch will be served. Sunset shoot in Golden Canyon, where we will hike down from Zabriskie Point through Golden Canyon, photographing Manly Beacon at sunset from within Golden Canyon. Dinner at the Ranch. March 20, 2019: Sunrise shoot at 20 Mule Team Canyon, followed by breakfast and our drive north to Eureka Dunes for two days of shooting the tallest dunes in North America. We’ll pass by Teakettle & Crankshaft junctions, great vistas of the northern end of the valley, and an abandoned gold mine. We’ll arrive into our camp in the afternoon, and spend time exploring and photographing the amazing shapes of these dunes. After a sunset shoot and dinner in camp, we’ll have time to enjoy the fire and download images. March 21, 2019: Sunrise shoot on the dunes, followed by breakfast and some down time. Optional one-on-one review of images. 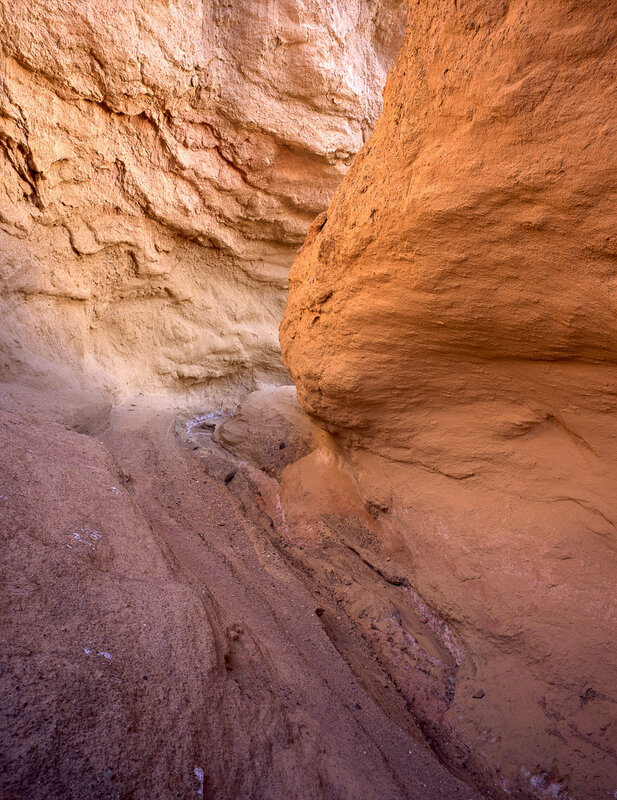 We’ll pack lunch and head out onto the playa to photograph mud cracks and other details, before shooting the dunes at sunset, followed by dinner. March 22, 2019: Sunrise shoot on the dunes, followed by hot breakfast in camp. Pack up and leave for Furnace Creek. We’ll have lunch and another critique in Furnace Creek, and then head out to Dante’s View for a sunset shoot. Dinner back at Furnace Creek will end this day. March 23, 2018: Sunrise shoot at Cottonball Basin, then breakfast back at Furnace Creek and our workshop concludes. Drive back to Las Vegas for flights home or elsewhere anytime after 2:00 PM. Double occupancy lodging (Single available, just ask). Transportation to and from Las Vegas, NV and Furnace Creek. Emergency Medical Evacuation Insurance (required). Trip and cancellation insurance (optional). Personal sleeping bag. Items of a personal nature. Alcoholic beverages. Anything not specifically listed as included. Your deposit of $2,500 is due at sign up and will hold your space in the workshop. The balance of $2,995 is due by December 1, 2018. All of our standard terms and conditions apply. Need special payment arrangements for your deposit? No problem, just ask us. This workshop fills up fast every year, and is strictly limited to only 9 guests, so don't wait, click the "Sign Me Up! button and we'll see you in Death Valley! Got questions?